This archive holds all posts from May 2018. Taking care of the house is and takes work, but I’m talking about paid work. That kind without which you wouldn’t even have a house. Home office loneliness can also interfere with productivity. You may end up diving into social networks, creating work delays. Each person has different productivity challenges and ways to overcome them. There is no single recipe for dealing with this. Planning is important to identify the tasks to be done, set priorities and allocate sufficient time for each of them to be executed. One of the things I noticed when looking back and seeing how long I was taking to do each of my tasks was I that I was allocating too much time for each of them. I researched what could help me with that and found out about Parkinson’s Law. Cyril Parkinson suggests identifying all the tasks to be performed in your work day, set priorities, plan the day backward, allocating the necessary time to each of them and then get to work. This has helped me a lot because I start planning my day based on the time that I must be done with it, so nothing is left behind and everything is done in order of priority. Nevertheless, it is important to understand that this plan has a specific order to be followed: first, do what you have to do and then, do what you want to do. Once I had solved my planning issues, it was time to see how I could improve my productivity, that is, how much work I could get done per hour. I didn’t have to analyze things extensively to identify the problem. I was getting distracted and losing focus far too easily. Be it because of things around the house or because of things on the internet. To help me focus on work without forgetting to rest the mind, I chose the Pomodoro Technique, and it has been amazing. The technique, as already explained, works very simply. You program the timer for 25 minutes and focus on work. During those 25 minutes, work is the boss. When the 25 minutes are up, you program the timer for five minutes. These five minutes can be used to go to the bathroom, drink some water or have a cup of coffee, listen to music, stretch, meditate, etc. I suggest avoiding checking out the internet or taking a peek at what’s going on TV because I’m afraid of ignoring the timer when the five minutes are up. The important thing is to use this break to rest your mind, hydrate or just relax a little bit. Break is over? Reprogram the timer for another 25 minutes. And keep on going from there: 25 – 5 – 25 – 5 – 25 – 5, until you get to the end of your work day. With this method, I could not just focus on what was really needed but could also identify my real hourly productivity potential. Which means that I started having enough time to include more things into my day and not leave anything for tomorrow. Written by Melissa Harkin, English to BR Portuguese, BR Portuguese to English and Spanish into English and Portuguese technical translator, 15+ years of experience, member of the American Translators Association (ATA) and the Brazilian Translators Association (Abrates), specializing in legal and environmental content. Bachelor of Laws, MBA in Strategic Management, Certificate in Translation and Subtitling, Certificate in Sustainability, and several years of experience in other markets (Oil & Gas, Aviation, Pharmaceutical, HR, Construction, Energy, and Environmental), before working full-time in translation. More of Melissa’s posts can be seen at: (https://medium.com/@melharkin) Melissa often posts in both Portuguese and English. Eileen is an unforgettable colleague. Working as a full-time, free-lance translator since 1972, she mentored younger translators while serving as a model for success. At one point she shared an office in Rockefeller Center, stayed at a women’s hotel in New York City during the work week and passed the weekends on Long Island with her mother. She always dressed well, but of course, this was not what you noticed. I had been trying, unsuccessfully, to contact Eileen to have dinner when I found out about her passing. She emailed me in January that she was looking forward to it. We used to dine a couple of times a year. Eileen did not talk much but her eyes said a lot. She was an intent and active listener and a keen observer. We discussed translation, our program and outside interests and sought the humor in everything. With her long silver hair piled on top of her head, sparkling eyes, direct smile, and restrained elegance, Eileen Hennessy was a woman who quietly blazed trails for others. At every information session for the NYU translation certificate program Eileen told prospective students how she broke into the profession. Back in the day, she was known in the man’s world of the corporate office as “the girl” who knew languages. Any document that arrived in a language other than English was routed to her desk. Eileen was a gifted linguist and hard worker. She transformed herself from “the girl” with languages to a self-made translator and earned the highest credentials and certifications available in multiple languages. I thought I would share what I am guessing are two little-known facts about Eileen. In the late 1980s, when we were both teaching in the NYU translation program, Eileen and I used to meet for dinner. At my apartment on the Upper West Side after one of those dinners, Eileen’s gaze fell on a lighter I had brought as a souvenir from Cognac, France. “That’s my family coat of arms!” she exclaimed. I had never made the connection between Eileen and the famed Hennessy cognac house but at that moment, it all became clear! Generally active in the profession, Ms. Hennessy participated in panels at the New York Circle of Translators. She was certified by the American Translators Association in French, German, Italian, Portuguese, and Spanish into English. Diminutive in size, she was grand in stature. 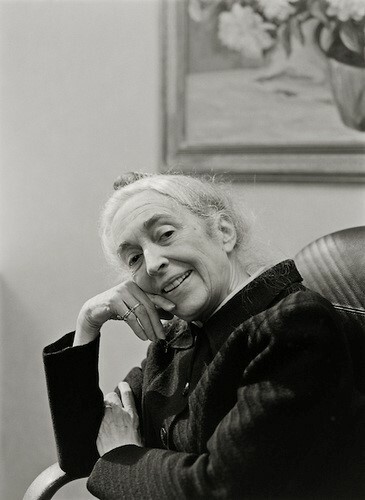 Her academic qualifications included M.F.A., Creative Writing, Fairleigh Dickinson University, Madison, NJ, February 2008; M.A., English/Creative Writing, New York University, Graduate School of Arts and Sciences, May 1985 and B.A., Philosophy/Psychology/Religion, St. John’s University, NY, June 1958. Her work was widely published in translation journals. Among books she translated are Braque by Raymond Cogniat, Edvard Munch, XIX Century Drawings and Watercolors, Turner and Odilon Redon, all by Jean Selz, The Nun by Denis Diderot, The French Pocket Cookbook by Ginette Mathiot, A History of the Comic Strip by Pierre Couperie, The Flower Mat by Shugoro Yamamoto, Vasarely by Gaston Diehl, Modigliani by Amadeo Modigliani, Maillol by Denis Chevalier, The Esthetics of the Middle Ages by Edgar de Brayne, as well as A History of Technology and Invention, 2 volumes, edited by Maurice Daumas. Her volumes of poetry include This Country of Gale-force Winds (2011) and Places Where We Have Lived Forever (2015). Her poems have also appeared in Like a Musical Instrument, edited by Larry Fagin (2014), VIVA LA DIFFERENCE (2010), Whiskey Island Magazine #46 (2003) and By the Light of the Moon (2015), as well as Stickman Review, Crack the Spine, Forge, Artful Dodge, Cream City Review, Sanskrit, The Literary Review, The Paris Review, Western Humanities Review, Prairie Schooner, The New York Quarterly and Smartish Place. Her work is her legacy, vivid for her readers, her students and those fortunate to have mingled in her circles. Can we say her poem below is prescient? I was recently traveling in Thailand and I needed to do laundry after spending a couple of weeks traveling around the country. I found a small wash and fold laundry service in Bangkok, where I dropped off my clothes and was supposed to pick them up the next day. The middle-aged Thai woman who runs the service gave me a receipt I could use to get my clothes the following day. Her English was very limited, but with some difficulty and in a thick accent she managed to say “Hello,” “Two kilos,” “80 Baht,” and “Tomorrow, 5 p.m.” I walked away feeling really happy that my clothes were going to be washed and ready in 24 hours. The next day, at 5 p.m., I returned to the laundry place to pick up my clothes and to drop off a new load that I had found at the bottom of my suitcase. The lady greeted me with a smile and a kind “Hello,” grabbed my new load, weighed it, made a receipt, and told me to pick it up “Tomorrow, 5 p.m.” I thanked her, and proceeded to ask for my laundry from the day before. Unfortunately, I had left the receipt at my hotel and I hoped she would remember me and give me my clothes without a problem. Unfortunately, she didn’t. I told her in English, “Yesterday I brought clothes to pick up today at 5 p.m.,” to which she responded in broken English, “No, no today, tomorrow 5 p.m.” I knew she was referring to the load I had just dropped off, so I continued to try to use simple language and only a few words to make her understand, but it wasn’t working. An interesting tidbit about the culture I was in is that Thai people are very careful about “saving face” and they’ll do whatever it takes to avoid starting a conflict or causing other people even the slightest bit of embarrassment. After a few attempts, we both wound up laughing about the silly and confusing situation we were in. At one point she even paused, thinking, and picked up a piece of paper sitting next to her scale and handed it to me. It was a long list of phrases in English with their translations in Thai; she signaled me to point at one. Funnily enough, the phrases read: “Today at 5 p.m.,” “Tomorrow morning,” “Tomorrow afternoon,” “Tomorrow at 5 p.m.,” “Tomorrow, tomorrow, tomorrow…” – but there was no “Yesterday”! I could do nothing but smile and laugh, because I knew we were not getting anywhere. Since my hotel was too far to walk to get the receipt, I decided to go across the street to a restaurant and ask if there was someone who spoke English and could help me. A young, shy girl agreed to help and after I explained the situation to her she turned and started talking to the lady. She talked and talked and talked. The laundry lady responded, and they engaged in a long conversation which ended with the girl looking at me and saying, “Yes.” I stood quiet for a moment trying to process what this one-word answer could have been a response to. “Yes, I can pick up my laundry now?” I asked, to which the girl responded “What?” I laughed, but I could see the woman from the laundry service was starting to get frustrated. Abruptly, the young girl left and returned, after a few moments of awkward silence, with a Thai man in tow. He said to me in perfect English, “Do you need help?” I responded with an enthusiastic, “Yes!” I explained the situation to him. He told the laundry woman a few sentences in Thai and I could see the light dawn in her eyes. She turned and looked at me and with the biggest smile on her face and said, “What you name?” “Mary,” I said. She ran back into her shop, grabbed a big laundry bag that had a copy of the receipt with my name stapled to it, lifted it up, showed it to me, and said “Mary?” I replied, “Yes! That’s my laundry!” We all laughed and celebrated the fact that we were able to communicate thanks to the help of the kind man who acted as an interpreter and solved our communication confusion in less than a minute. This experience has since made me think about my job and the importance of having qualified interpreters, particularly in more specialized situations, such as in a medical setting. There are over 46 million people in the United States who don’t speak English as their first language, yet, they will all need medical attention at some point. Medical interpreters facilitate communication between doctors and patients, but they also help avoid misunderstandings that could potentially put a patient’s life in danger. Going to a hospital or clinic can be intimidating, even for people who speak English proficiently. Imagine how much more nerve-wracking it would be for someone who has limited English-speaking abilities. When there is an interpreter, patients usually feel more comfortable, safe, and at ease when interacting with their doctors. When I was able to find “my Thai interpreter” (as I refer to him), I was very thankful and glad. I realized this is the same reason why our clients at work are always so grateful and relieved when they see us walking into their appointments along with their doctors. There is no more valuable lesson for an interpreter than to be in a situation where we need an interpreter ourselves. As we say at work, “Interpreters save lives” (and laundry too!). 1. Do you have access to the source material? Never accept a request “blind” without first seeing the source text. 2. Do you truly understand the subject matter of the source material? Be brutally honest with yourself. It is impossible to render a correct translation without a complete understanding of the subject matter. 3. Do you have the right resources (bilingual dictionaries, terminology lists, papers, books) to translate the source material, or do you know which client website(s) or forums you can go to in order to find the information you need? Make sure you have the right paper/electronic tools for building your translation and expressing yourself as an expert on the subject would. 4. Do you have the style manuals you need in your target language? A mastery of your target language is a must. 5. Do you master the software tools you need to deliver your project? If you feel that you are struggling with a software program, e.g. a CAT tool or a word processor, invest a little bit of your time every day toward mastering it. 6. Do you know the country/countries in which the translation will be published? If you client asks you to translate from English into French, is the translation for Belgium? France? Canada? Do you feel confident writing for those countries? 7. Do you know the purpose of the translation? Knowing the purpose of the translation will help you figure out which register you should use. Ask your project manager/direct client for any in-house reference files that can help you better understand your client’s preferences. In addition to industry terminology, plenty of companies in each industry use their proprietary terminology. 8. Do you follow the client’s instructions? Did the client ask to use a specific formatting style or template? Always follow the client’s instructions. Communicate with them if you have any doubts. 9. If the source file is in .DF format, did you ask your project manager if you could run it through PDF to Word conversion software? Special care is needed here: Scanned files can require a lot of post-processing to produce an editable file you can work with and deliver to the client as a quality end product. It is sometimes advisable to translate from scratch in a word processor. 10. If you use a CT tool, are you constantly referring to your original source file? Sometimes, the order of segments in a CAT tool file can be misleading. Always check the original source language file to make sure you properly understand the text structure. 11. Do you read each sentence of the source text before you translate it? Even when you are pressed for time, read each sentence completely before you translate it. The text will sound natural in your native language and will not follow the conventions of the source language. This will save you time during the review process. 12. Are you using common sense? For example, if you are translating “engine specifications” into French, do you know whether the author is referring to one single engine or several of them? Sometimes, you can find out with a bit of research. At other times, you can only know the answer by asking your client. 13. If you encountered any ambiguous items, did you clearly identify them and ask your project manager about them? Research any concept you are unsure about and don’t be afraid to ask your project manager any questions you might still have: e.g., do you understand all the abbreviations in your source text? 14. Are you abiding by all the conventions used in your native language? For example, to indicate a monetary amount, English requires that you write the currency symbol first, followed by the amount. Find out what the experts in your native language do: how do they represent amounts? 16. If the source text contains a quote, did you check if the quote exists in the target language? If you translate of quote from a piece of legislation, for example, look for the EU corresponding official translation of that quote in your target language. 17. Did you translate everything? We are not robots: always check for missing words, sentences or sections. 18. Can you understand everything you wrote? If you have to read a phrase or sentence twice to understand what you wrote, this may be an indication you need to rework it. 19. Do you have the correct register? Take this opportunity to check your register. 20. Are your headings correct? Headings can be tricky to translate. Now that you have a complete understanding of your source text, always take a critical look at all translated headings in the document. 21. Did you correct any obvious mistakes? Now is your chance to catch any obvious or glaring errors. If you’ve been able to postpone your review for the following day, they should jump out at you. 23. Did you follow all standard conventions in your mother tongue? For example, what are the conventions for a comma, period and semicolon placement with respect to closing quotation marks? 24. Did you pay attention to the text layout and fonts? Make sure you reproduce the original layout and formatting as closely as possible. 25. Did you correct any minor translation errors or omissions? 26. Did you check for consistent use of terminology? If you work with a CAT tool use whichever consistency checker is built into the system. 27. If you are working with a CAT tool, did you use its integrated consistency checker? Always use all of the utilities and checkers in the software that will allow you to spot any mistake you haven’t caught before. 28. Did you run an automatic spell check? 29. Last but not least, did you check whether your translation contains double spaces? 30. If you used a CAT took, did you preview your translation in the original file format? 31. Does your translation sound like it was written in your native language in the first place? Here is the chance to check you have written your translation the way a native speaker would have expressed it. 32. With respect to pronouns, can the reader clearly identify what they refer to? Always check for consistency and flow from one sentence to the next, and from one paragraph to the next. 33. Is your register appropriate for the type of document you are translating? 34. Did you print out your translation and read it from the print copy? 35. Did you read every word of your translation? Read every single word of your text to make sure you did not forget to write conjunctions such as “and” or forget to insert a critical comma. 36. Did you pay extra attention to grammar? In my experience, many grammatical mistakes are not detected by automatic spellcheckers. 37. Did you pay extra care to homophones (“sound-alikes”) Spellcheckers don’t catch improper substitutions of “their” for “they’re” “women” for “woman” etc. 38. Did you use consistent punctuation and capitalization? Checking these items is a printout of your translation makes all the difference. Your eye will catch these types of mistakes more quickly than on a screen. 39. Did you clearly indicate any unresolved items or translation decisions to your project manager so that the reviewer/direct client is made aware of them? Let the reviewer know about these so he/she can pay extra attention to them. 40. If your project is very specific, did you indicate your research work to the reviewer? Submitting your sources to the reviewer will show you took the time to fully understand the source text and choose the right target terminology. 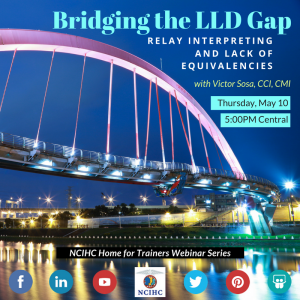 While the interpreting profession has had LLD interpreters for many years, these individuals often have had few options for training and development to succeed in their profession. Court systems, community services, and healthcare providers have had difficulties in supporting the success of these interpreters for reasons that include lack of awareness of the unique complexities of interpreting and unrealistic expectations. Barriers that interpreters are tasked with overcoming include lack of equivalencies of westernized terms, lack of shared medical concepts among the participants in the encounter, and difficulties in working with other interpreters when relay interpreting is required to facilitate communication among the participants of the encounter. 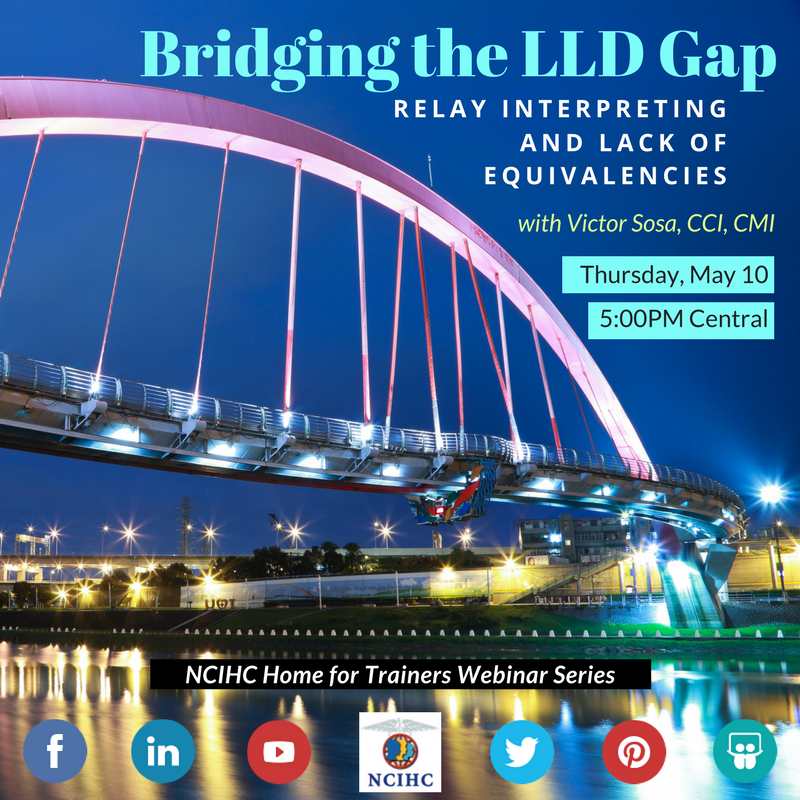 Often times neither interpreter working in relay interpreting encounters has had training on how to effectively perform relay interpreting in consecutive or simultaneous mode. This presentation will aid in presenting and discussing possible strategies and solutions to overcome these barriers. Interpreter trainers will gain awareness of the complexities that these interpreters face and will be presented with practical strategies that they can include in their training programs or workshops. 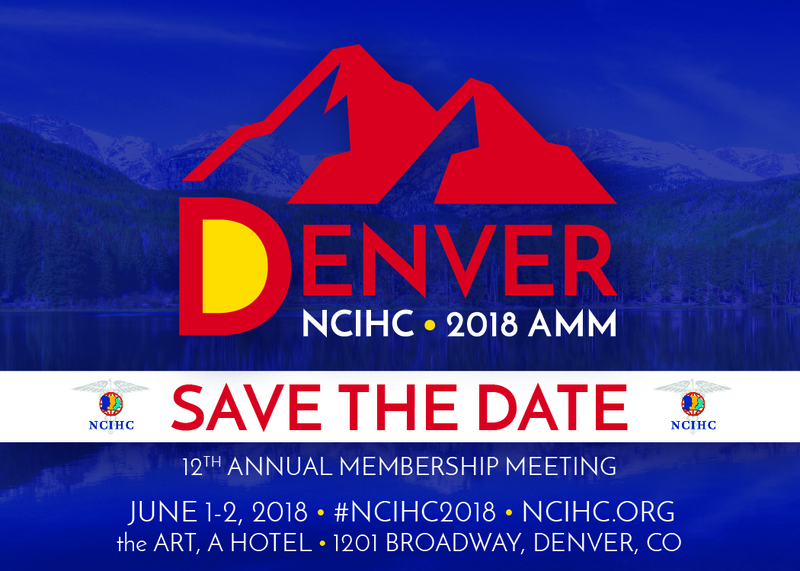 Victor Sosa has served as the Director for Indigenous Interpreting + and as the Language Access Coordinator at Natividad Medical Center since 2010. He is also an accomplished Certified Court Interpreter with years of experience as a staff court interpreter. 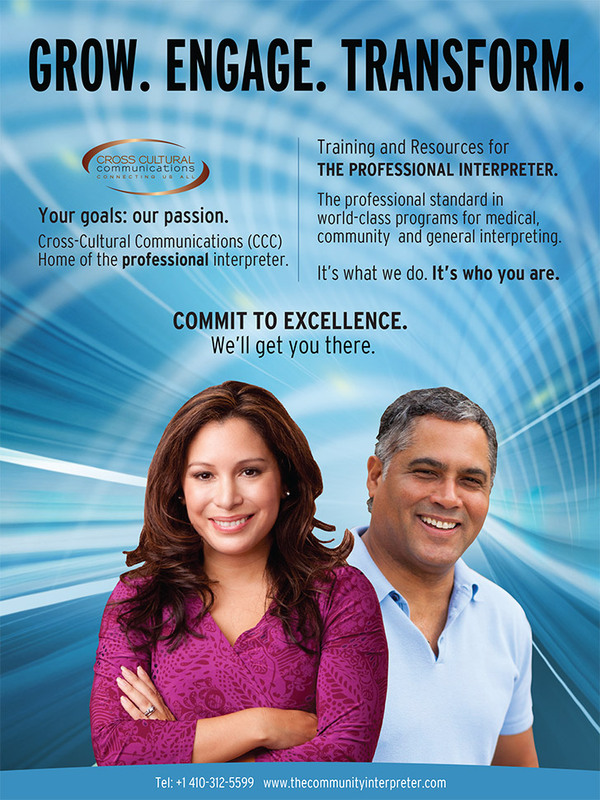 He holds the National Board’s Certified Medical Interpreter certification. Mr. Sosa received the 2013 National Council on Interpreting in Health Care (NCIHC) Language Access Champions Award and was a featured speaker at the 4th InterpretAmerica Summit (2013), From Indigenous Immigrant to Professional Medical Interpreter. He was also an invited panelist at the 2013 Critical Link 7 conference discussing “Breakthroughs in Aboriginal Interpreting: Innovation and Insight for Indigenous Communities.” Mr. Sosa is an experienced instructor and trainer, having trained both in the healthcare and legal sector as well spurring the industry to develop training and curricula to be delivered in the cultural context of Indigenous and LLD language speakers. He is one of the authors of the Indigenous Interpreting 63-hour training manual due to be published in May 2018.